Summer is here! 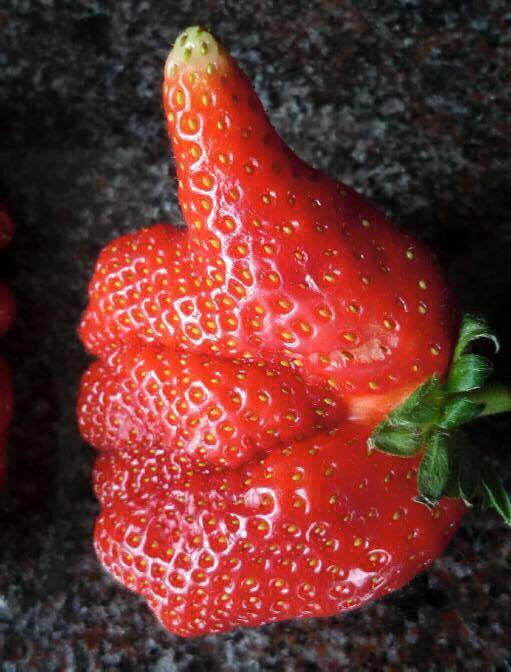 Thumb Up everyone! And my Europe Tour is starting in 29 days! 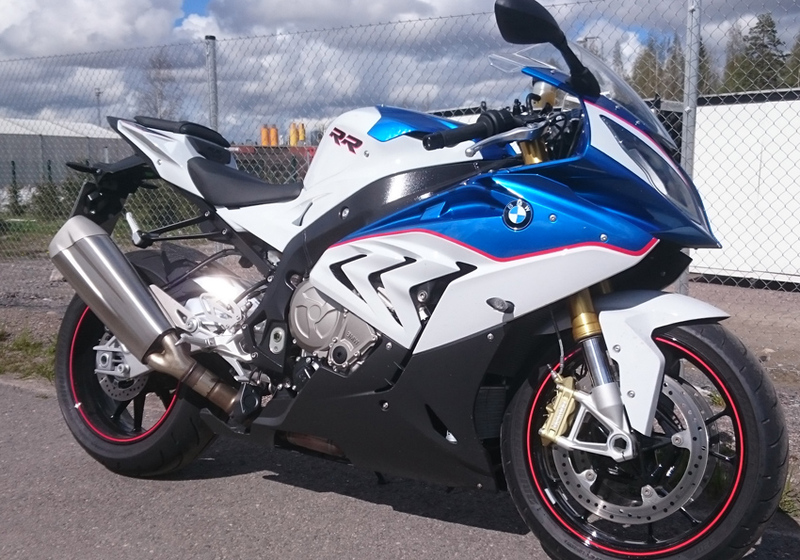 BMW motorcycles finnish import-company got their first bike last week! There’s even a picture about the bike itself. It was a kind of carnival in Vantaa today! Motorcycle store Allright had their “Hemmopäivät” again and there were some tents with nice special prices, lots of good stuff for-sale with very low prices… and ofcourse parking area full of bikes to take a test ride. Kawasaki, Triumph and BMW (With 1 Aprilia) and I chose mainly BMW bikes to have a quick test. 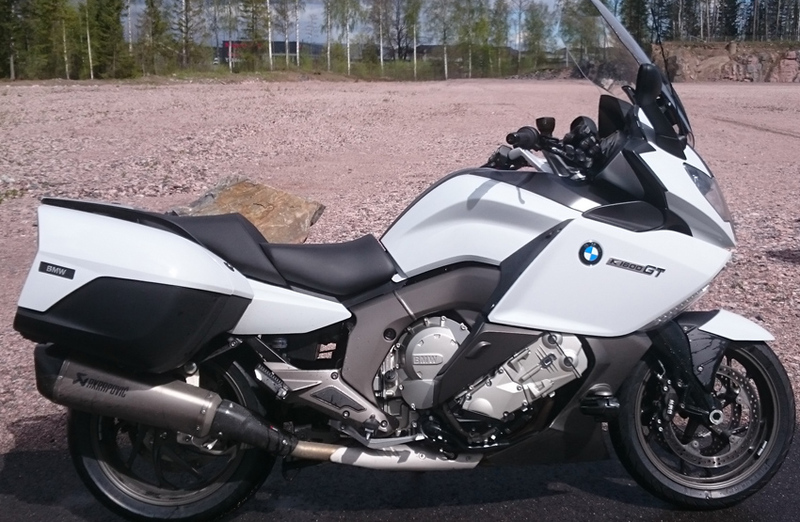 BMW K1600GT is heavy. It’s still very easy to ride if you just get it on the roll… And becouse it’s heavy it doesn’t feel too powerful either. This was the biggest disappointment! 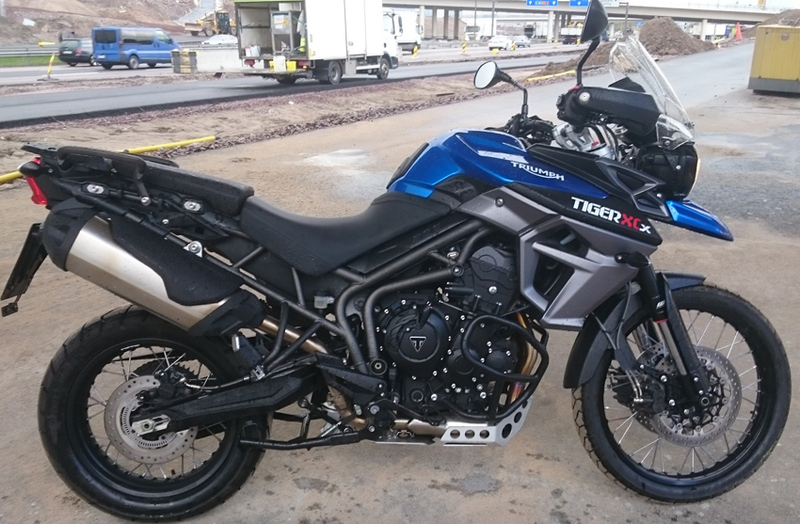 Triumph Tiger 800XcX is very light, nice and easy to ride, nice torque and powerline in the engine. I would rather choose this than 800GS! 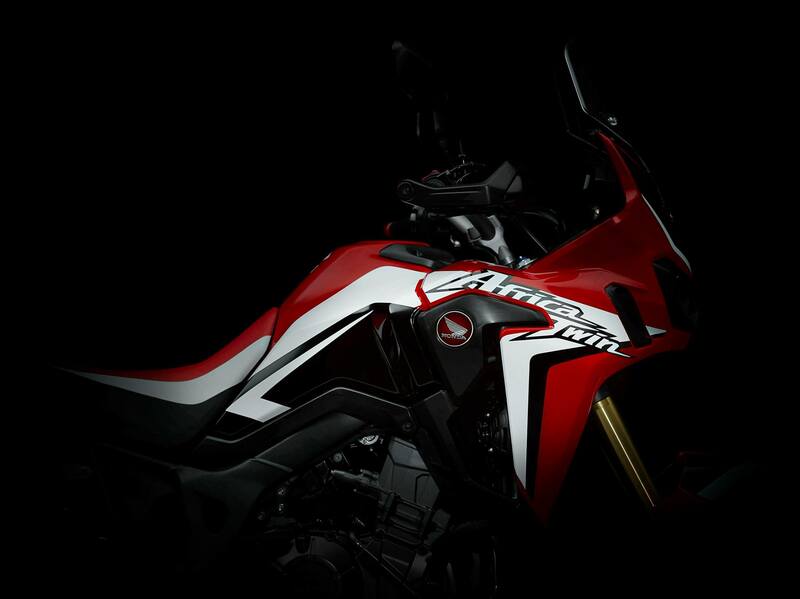 Honda CRF1000L “Africa Twin” is going to be the name of this new model. Rumours tell it’s gonna weight less than 200kg’s -and that is amazing!! Some photos already seen in the internet! I wrote about this site before. But now it’s published also in english! I think it’s the best possible site to find new places and roads!! And it’s about us bikers to make it even better. Check it out now!! At the moment I’m the number 1 cachemaker… But I really would like to see someone else make lots of caches! 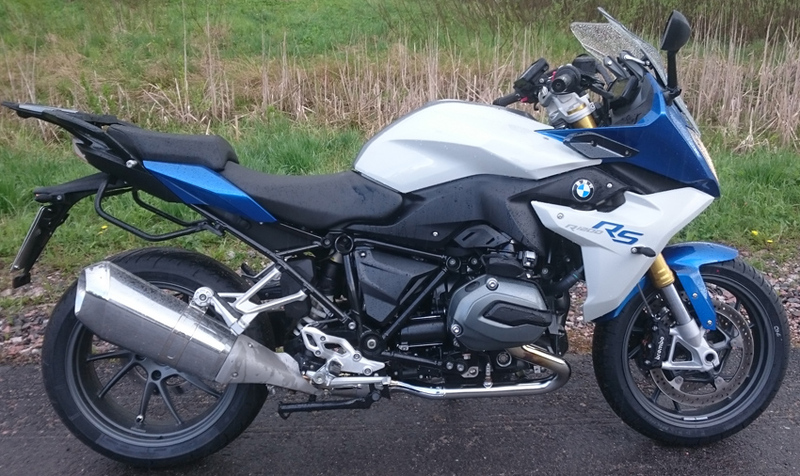 Sportsbikes are set to be shamed! MotorCycleNews took the testride in Spain. They liked it…. Ahh “like” is not really a word to describe all that they’ve experienced! 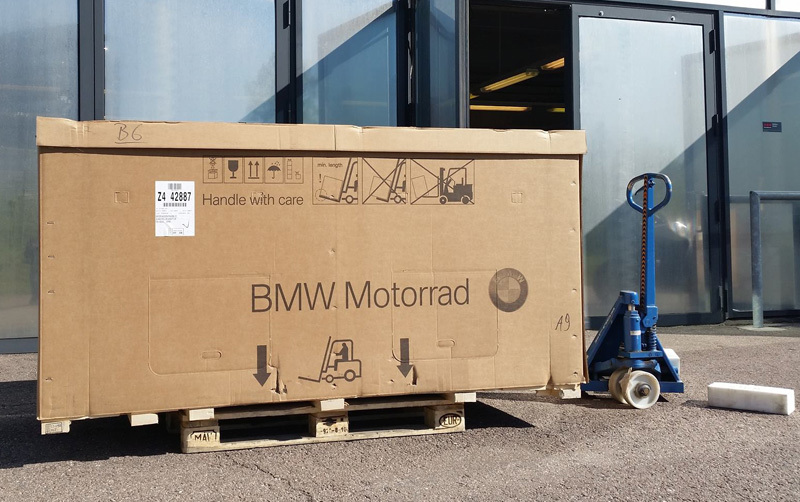 This Bike should arrive (TO ME!) after 34 days of waiting! My experience about low-riders is very limited! Or actually I don’t have it at all! 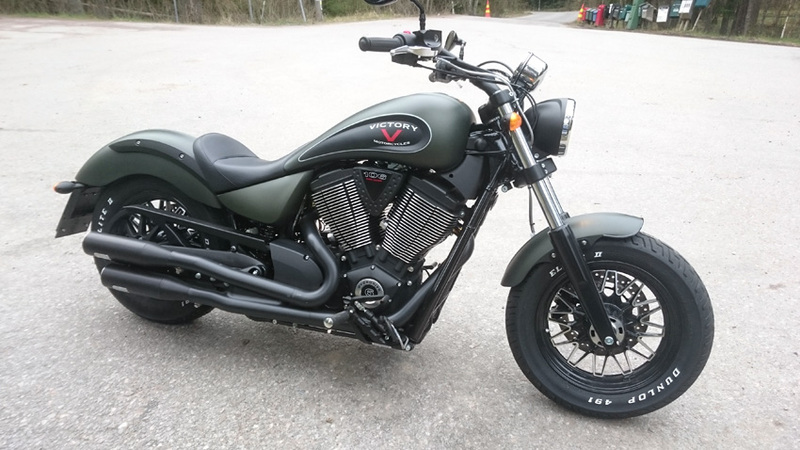 So now I desided to take a test ride with this mean-machine: Victory Gunner. Test ride was short, and those gears are long! In second gear I was already reaching 80km/h!! And it felt so easy! The sound from the exhaust made my heart pumping like crazy… and I really felt alive. This bike took the corners easily and it didn’t feel difficult at all to sit so low. But then after the test ride I realized that already in the 4th corner the foot-pedal was hitting the ground (making sparkles I hope!) Oh my god I thought, I can’t ride this bike so fast as I wanted to… That’s a disappoinment! Then I took my Crosstourer and took the same corners with 20km/h more speed -and it felt good!